It was an ordinary quiet morning here in Kansas’ largest city. Then I heard my dog Lucas barking. Not the “I want to come in” bark. Not the “I see something across the street” bark. 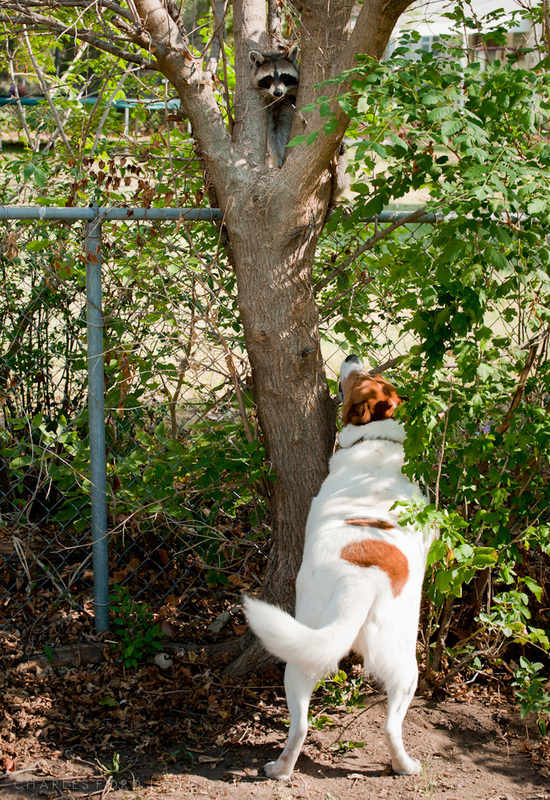 Not even the “there is a squirrel in that tree” bark. This was definitely the “there is a large unusual creature in the yard!” bark. I went out to see, and there it was. Was it a cat with strange markings? No, it was a raccoon in a tree. Unlike the fire incident in July, this time I sprinted back in the house, grabbed my camera out of the bag, switched to my 70-200mm zoom, and ran back out. Unfortunately, I looked down to see there was no memory card in the camera. I ran back in, found a card, inserted it, formatted it, and ran back out. The raccoon was still there, in a heated standoff with Lucas. I was able to get a few pretty good portraits. 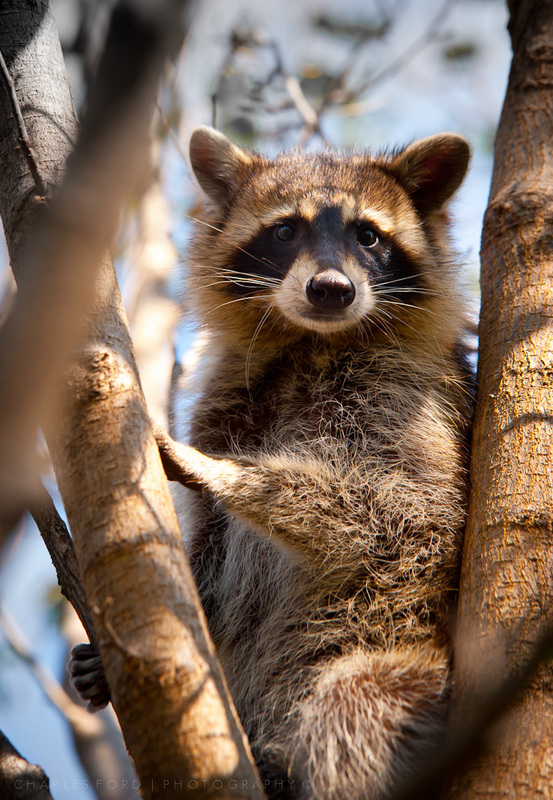 Things were getting pretty tense, and visions of rabies shots began dancing in my head, so Lucas and I retreated to the house and let the stressed raccoon go about his/her business. I believe these are the first raccoon images in my portfolio. 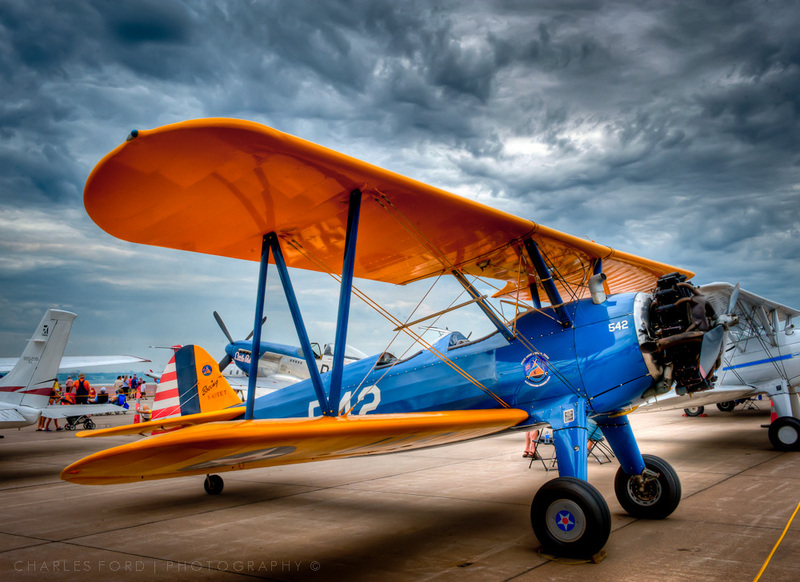 This a beautiful example of a Boeing Kaydet, made by the Stearman division of Boeing during the 1930’s and 1940’s. Often known as the Stearman, it was a trainer aircraft for new pilots during World War II. I imagine many a military pilot started his career flying along in the open cockpit Stearman with an instructor barking orders at them, and a year or two later they would find themselves strapped into a fighter like the Mustang in the background, hurtling through the skies over Europe in combat. After the war many Stearmans went into civilian use as crop dusters and general sport planes. This one was on display at the Wichita Flight Festival. 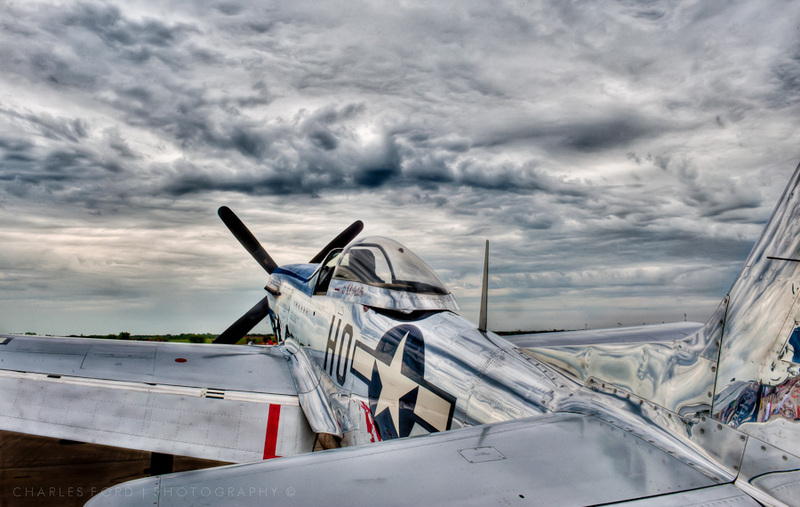 A beautiful P-51D Mustang awaits it’s next flight. This aircraft is often cited as the most important fighter of World War II. Prior to it’s introduction, Allied bomber formations had to plow into Germany unescorted, their shorter range fighter friends left behind. The Mustang’s range allowed it to follow the bombers all the way to the target and back. It’s performance in combat equaled anything the Axis could put up, with the possible exception of the ME-262 jet fighter introduced near the end of the war. The Mustang has a fascinating history and there is undoubtedly a huge amount of information out there for those inclined to research further. I have read about this plane my entire life, but never able to examine one close up until I encountered this one at the Wichita Flight festival last weekend. This a a three exposure HDR, processed in Photomatix Pro and finished off in Lightroom. I have several others, both HDR and ‘normal’, I think this one is my favorite. Thank you to the proud owners of this plane, a great deal of love and attention have been put into it’s restoration. 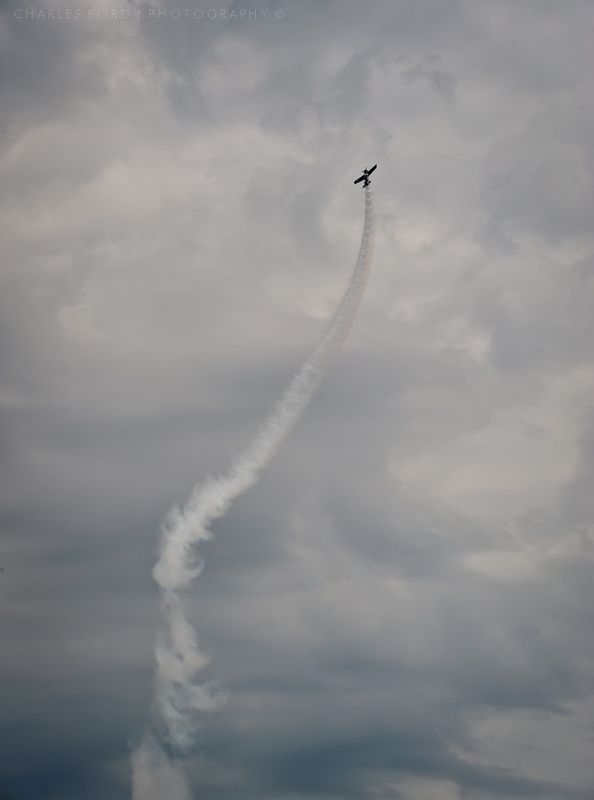 Another image of the Red Eagle Air Sports aerobatic team in action at the Wichita Flight Festival. As you might have deduced, this is something of an optical illusion. 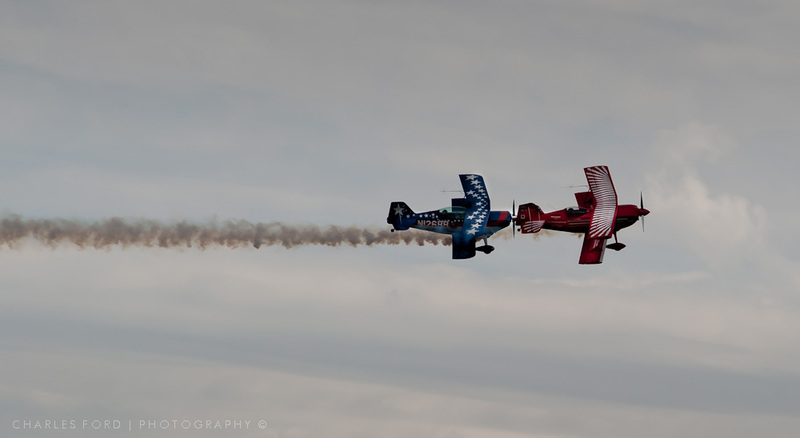 The blue plane is farther from the camera than the red, although they were still very close to each other. This is the Red Eagle Air Sports aerobatic team from Alabama, they put on a great show over the weekend in Wichita, at the Wichita Flight Festival. I attended my first airshow last weekend. (My first since I was a young boy anyway.) Fortunately there were no tragedies at this event, unlike other airshows over the weekend you may have heard about on the news. I do not own a super long lens, so am not able to get those in-flight closeups that the airshow enthusiast photographers are capable of. However I did have fun and learned a few things in the process. In the middle of the show I recalled reading something in the past about shutter speeds and aircraft propellers. Sure enough, there is a sweet spot for shutter speeds when photographing piston engine airplanes. Too fast, and you freeze the propeller, making the plane look static and unnatural. Too slow and you get a blurred plane. Alas, many of my shots were at too high a shutter speed and I got plenty of frozen prop shots. Nonetheless, I came home with quite a few images I was happy with. The plane in the image above is a Grumman Wildcat, an American fighter aircraft used by the Navy in World War II. As I arrived at the show, the Wildcat was mock dogfighting a Japanese Zero – for someone who was been interested in World War II aviation since he was a boy, this was great stuff! 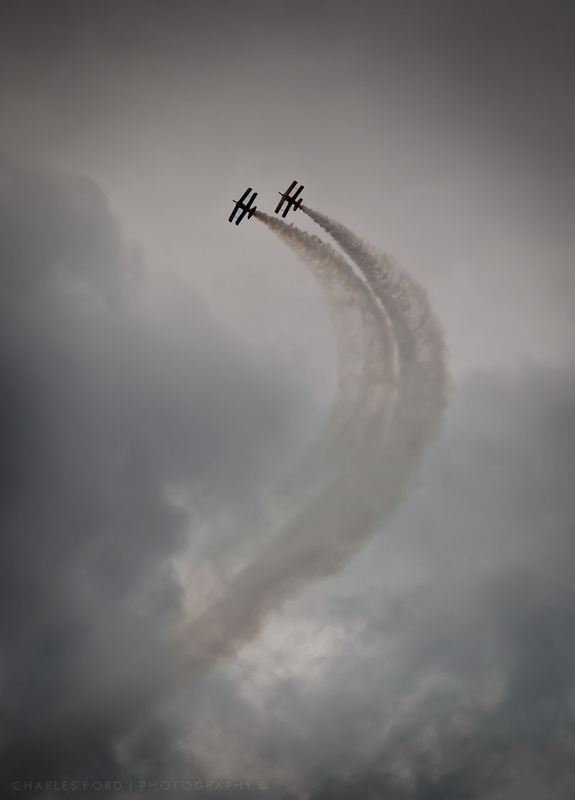 I photographed the aerial acts, and the static displays on the ground, including some HDR which I will post later in the week. 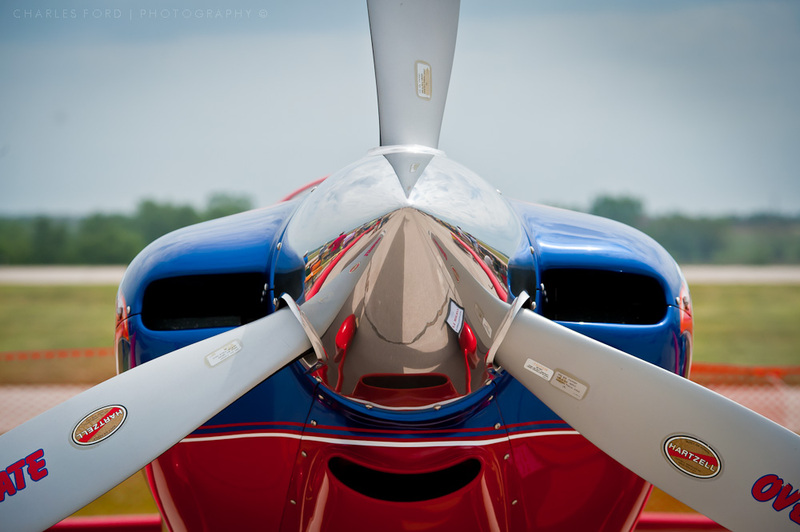 The image below was one of the light aircraft on display, these machines are as lovingly painted and polished as any car at a car show. I’m going to veer off the photo-centric path for a post here (although I am providing twice the number of photos as usual). This is Wichita High School North, from which yours truly graduated in 1977. 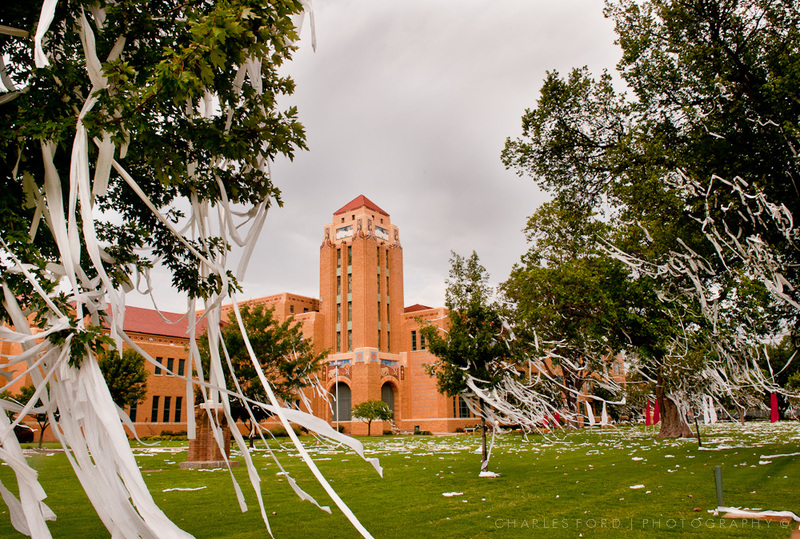 Apparently, sometime in the intervening years a tradition has taken hold where the senior class will TP the grounds around the start of the school year. (My sources indicate this is all sanctioned so nobody got in trouble. ) My wife and I spied this last week while driving by, so I came back later to take a few record shots for the blog. This was the largest TP hit I have ever seen, and I have seen a few in my time . Well done! The second part of the story results from my loitering around taking the photos. A nice lady pulled up to take some photos of the carnage with her iPhone. The following conversation ensued. Nice Lady continues, indicating that she must not have heard the North High part. She graduated in 1977, but not in Wichita. hehe. Actually, this all sounded much funnier before I typed it out. You probably had to be there. Anyway, since I am always looking for new blog material, there you have it! 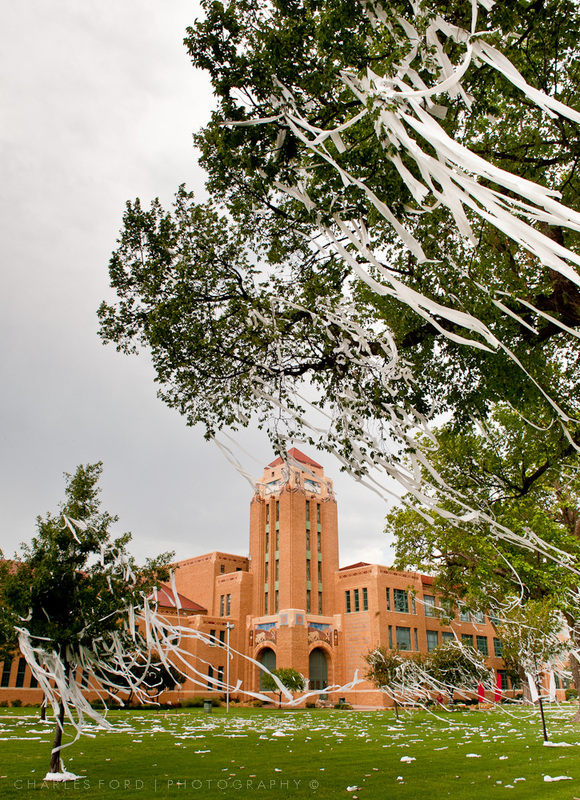 Congratulations to this senior class, they pulled off a doozy. 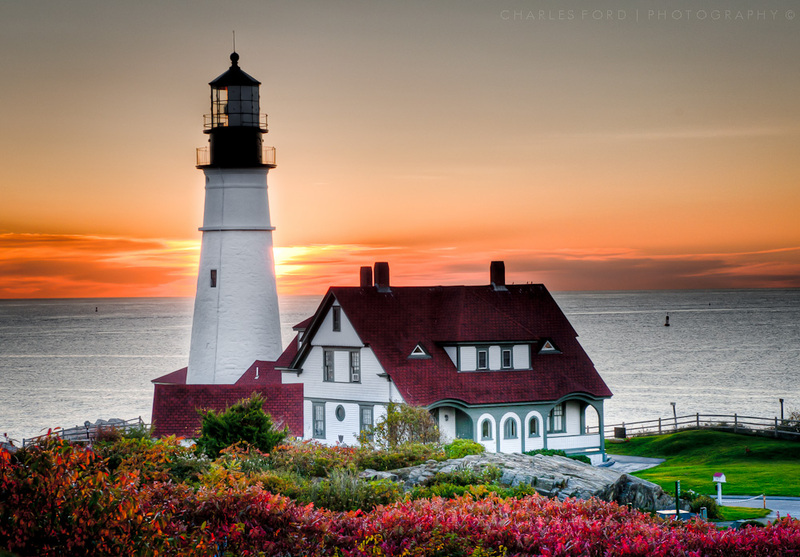 Another day has begun as the sun rises above the Atlantic as viewed from near the Portland Head Lighthouse in Maine. HDR strikes again! I suspect trying to achieve this “old school” with neutral density grad filters or darkroom voodoo would have been quite a bit more difficult. I am quite fond of this crop. It occurs to me that if I were the devious sort and had a lot of time on my hands, this could become a nice moon over the water type shot. Is replacing the sun with the moon against the photo rulebook? Will the photo purists come visit in their black helicopters? I’m probably already on their watch list. I doubt I have the skills necessary to pull of a celestial object swap convincingly anyhow. Let’s just forget I mentioned it. 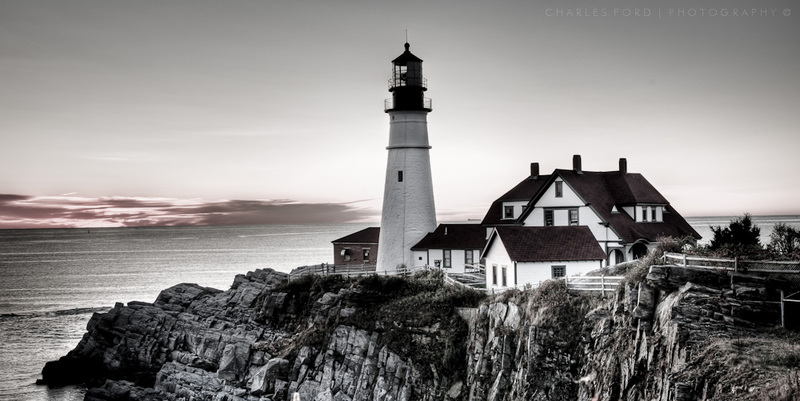 Another Portland Head Light HDR. This time with most of the color drained out of it. That’s the technical terminology for it. (OK, it was desaturated in Lightroom to achieve this result.) Not sure if I like this approach or not, I think it is growing on me. Although I can’t truthfully say the Portland Head Light is as exciting to photograph as the Bass Harbor Light, pretty much any real lighthouse on the Maine coast is more exciting than most of the shooting around home territory. Perhaps this is due to the distinct lack of lighthouses here in Kansas. I’ve been revisiting a few old images from New England, now that I know (or at least have deluded myself into thinking I know) more about HDR processing etc. This is a good example of what HDR can accomplish, unless dramatically overexposed in the sky, the lighthouse is seen in silhouette by the camera. Blending in one of those frames exposed for the lighthouse and foreground, we get the result above. As I recall, this was taken standing on a picnic table in order to get just that little extra bit of height needed. The sky in this particular sunrise was not spectacular, but that’s just bad luck. I would have kept going back for that special sky, if time had allowed. This is a three exposure HDR, again processed in Photomatix and finished off with a few Lightroom tweaks. I would love to go back to Maine, I really enjoyed it.